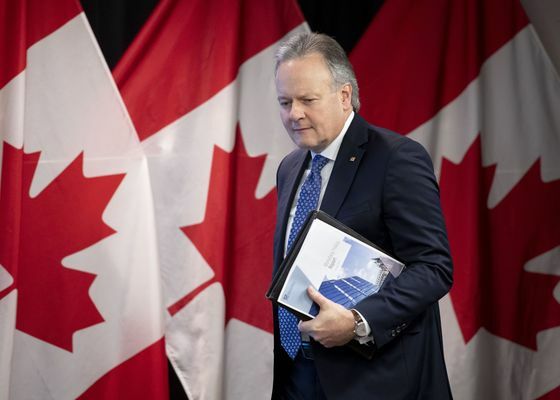 Bank of Canada Governor Stephen Poloz said whether he’s done with hiking altogether is a “data-dependent question,” adding the economy continues to work through headwinds that warrant stimulative rates. The Bank of Canada, which has raised borrowing costs five times since mid-2017, has stopped talking about the need to raise interest rates in recent weeks and turned the focus instead toward keeping stimulus in place as the country copes with a slowdown. Poloz, whose next policy decision is April 24, struck a similar tone in Washington. Poloz also dismissed the idea the central bank has any specific target it expects borrowing costs will eventually get to. The idea of a neutral range -- which the Bank of Canada has estimated at between 2.5 percent and 3.5 percent -- is just a “concept.” The central bank’s current policy rate is 1.75 percent. “What matters is what forces are acting in the economy,” said Poloz, and what’s the level of interest rates that will bring the economy into balance. “That number is going to change every time something hits the economy, whether it’s a positive thing or a negative thing,” he said.